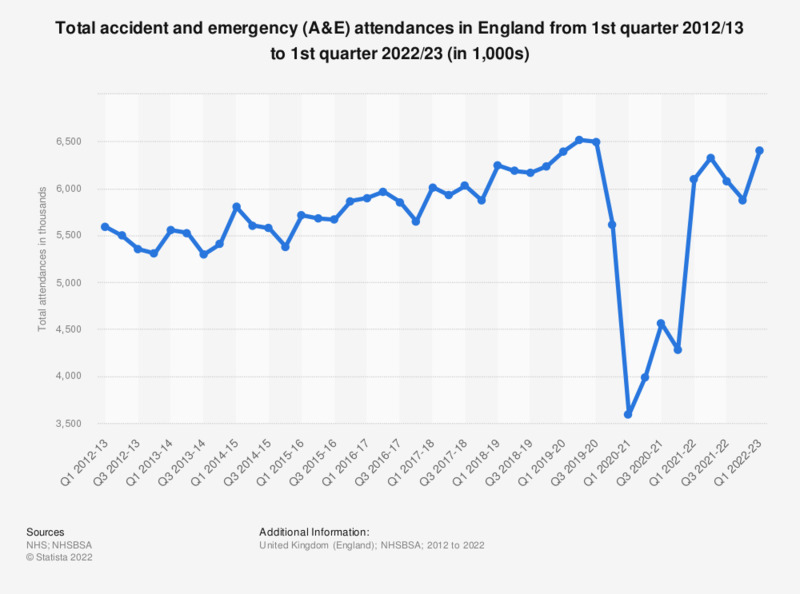 This statistic displays the total accident and emergency attendances in England, from the first quarter 2012/13 to the third quarter 2017/18. In the first quarter of 2017-2018, there were a total of six million attendances in the accident and emergency department nationwide. Do you think herbal medicine is effective at treating illness? Do you think acupuncture is effective at treating illness?